With just under two weeks to go until Santa arrives, the turkey is roasting in the oven and ‘It’s a Wonderful Life’ is on the television, the National Standards Authority of Ireland (NSAI) has issued some last-minute safety advice for people ahead of the Christmas season. “We know people are busy preparing for the festivities but standards really should be at the forefront of their minds to help ensure a peaceful and happy Christmas for all,” said Pat Bracken, NSAI’s Director of Corporate Services. “By law, all toys and electrical products should display the CE Mark, either on the product itself or the packaging. This demonstrates that the product has undergone safety testing in the design and manufacture process,” said Mr. Bracken. “Even still, people need to ensure that they are using the product correctly, as outlined in the manufacturers’ instructions. NSAI’s 12 Days of Christmas Safety tips should help to guide people in this regard,” he added. Day 1: Check the lights on your Christmas tree. Look out for frayed or exposed wires, broken or cracked sockets, or loose connections. It is much safer to replace them altogether rather than repairing them. All fairy lights should be CE Marked. Day 2: Toys should be CE Marked. Only buy toys and electrical products that contain the CE Mark. The CE mark should be visible on the product itself or on its packaging. Day 3: Test your smoke alarms and carbon monoxide detectors. Ensure that the CO detector complies with European Standard EN 50291 – look for it on the box. Press the test button on your smoke alarm to ensure that it is working. Both smoke alarms and CO alarms should always be CE Marked. Day 4: Make sure toys and games are age-appropriate. Pay attention to minimum age warnings. When buying a computer game, check the age cert. VR Headsets are a hot gadget this Christmas but they are not recommended for use by children under 12. Day 5: Examine toys for sharp edges. When buying a toy, take time to examine it first for rough edges, dangerous or detachable small parts or small holes that could trap little fingers. Day 6: Get the right gear. If Santa delivers bikes, roller skates or skateboards, make sure those riding them have the right protective gear. A CE Mark is also required for personal protective equipment, such as helmets, knee pads etc. Day 7: Don’t mix the old with the new. Don’t mix old and new or different strength batteries in the toy. That can make the old or weaker batteries very hot. Always unwind extension cords completely to avoid overheating and don’t overload sockets with adaptors or extension blocks. Day 8: Take action. If you come across a toy or an electrical item that seems unsafe or doesn’t have a CE Mark, don’t buy it. Instead, contact The Competition and Consumer Protection Commission (CCPC), with details of the item and where you saw it, at www.ccpc.ie, or phone (01) 402 5555. Day 9: Keep decorations away from fire. 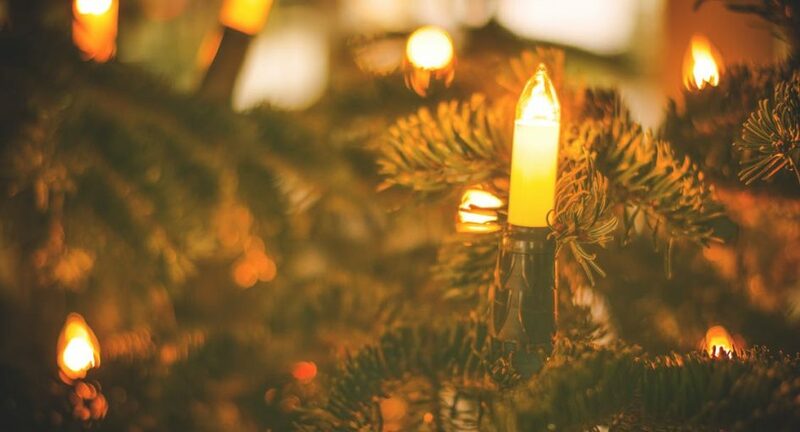 Reduce the chances of causing a fire and keep decorations and combustible materials well away from light fittings and other sources of heat such as heaters, fireplaces and candles. Day 10: Know real from fake. There are a number of indicators that the CE Mark is genuine. Look carefully at the three branches of the letter E. The central one should be shorter. Also, look for the space between the C and the E; it should be quite big. Day 11: Switch off and plug out. Switch out all Christmas lights last thing at night and when leaving the house to protect against the risk of fire. For extra safety, always switch off and unplug appliances and other items when not in use. Day 12: Recycle and be safe! Always dispose of (in your recycling if possible) discarded wrapping paper, plastic bags, ribbons, string, plastic tags, used batteries etc. as soon as they’re not needed any more. Make sure younger children don’t play with anything that could cause suffocation.